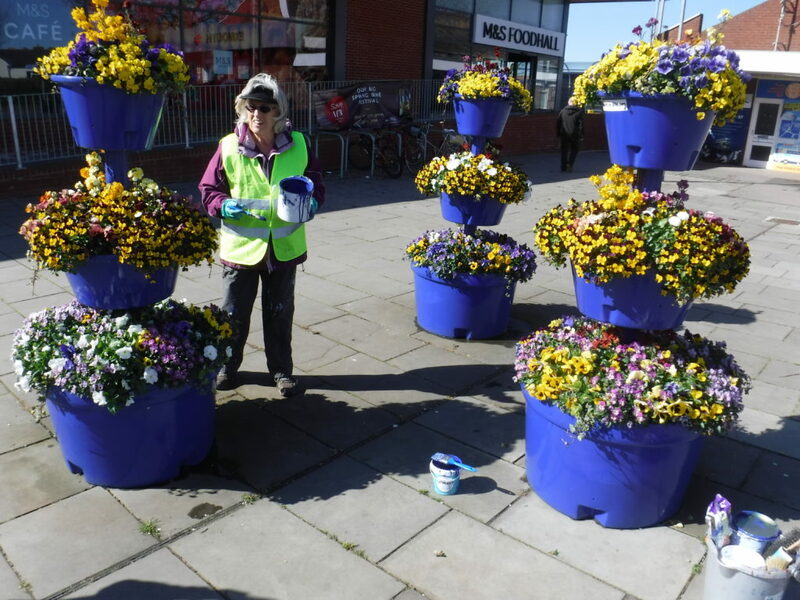 Exmouth in Bloom volunteers attacked the town with a paintbrush today. 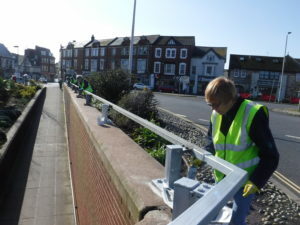 We started by painting the barrier on the final wall in Marine Way. 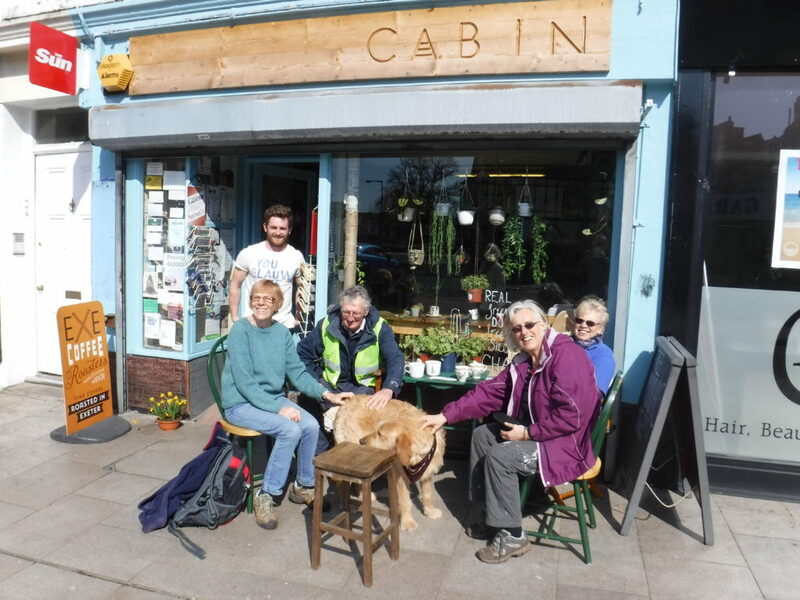 Shaun and his dog Henry, from The Cabin in the Parade, popped by and invited us to come in for a cup of delicious Exe Coffee or tea. 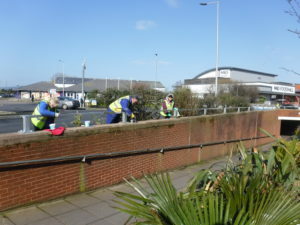 So after we finished painting, we had a lovely cuppa and sat outside in the sunshine. We can thoroughly recommend this little gem of a café in The Parade. 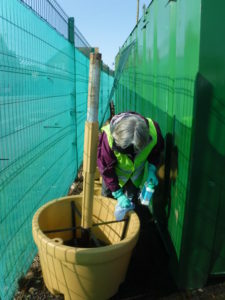 Shaun had some super indoor plants for sale, just in case you are interested and would like to visit! 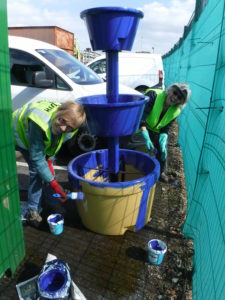 We headed to EDDC Streetscene, Camperdown Depot and got the last 3-tiered planter painted in Exmouth in Bloom Blue, ready for installation in the next few weeks. 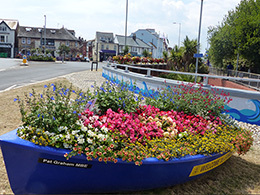 Whilst we had the brushes wet, we touched up the Station Planters and the boats all along Marine Way. 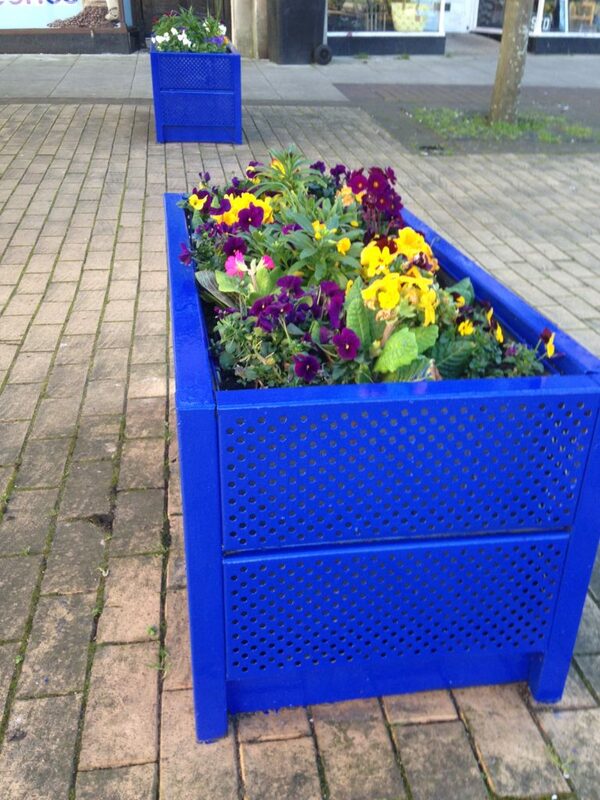 Then we gave the planters in the cafe Quarter a fabulous new look. Definitely a successful day and all looking wonderful.